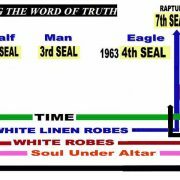 In Luke 19:12 to 15 shows two comings : Luke 19:12 show Jesus returning in a Shout (Message) of 1Thes 4:16 in 1963 when 6 Seals was opened until the time of the Voice of the Archangel. Luke 19:15 transpire’s when Jesus is actually returned on Earth as the Mighty Angel characterize Him after the 7th Seal is broken. In Rev 5:9 ; When Jesus brakes the 7th Seal, then in Vs 12 He is told to receives Power for the Millennium while in Glory before he come to earth. After receiving Authority for the Millennium in Glory; Now Jesus is actually return to Earth in Rev Ch 10 as the Mighty Angel characterize Jesus to the Living Bride. 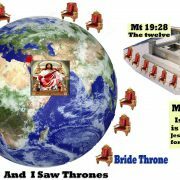 Now on Earth, He called the Living mortal element of the Bride (Quick) before Him in Vs 15 (THEN at that Time) He Judges them for their rewards on Earth, and not in Heaven. While the Archangel is judging the mortal elements of the bride on Earth ; all the while the literal Jesus is in Heaven judging the deceased (Dead) Bride Saints. 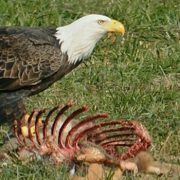 In 2Tim 4:1 it says he will judge the QUICK and the DEAD at his Coming. 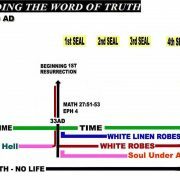 Now on Earth, He called the Living mortal element of the Bride before Him in Vs 15 (THEN at that Time) He Judges them for their rewards on Earth, and not in Heaven. 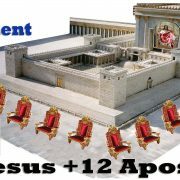 Now 1Pet 4:17 has nothing to do with the Judgment Seat of Christ For our Reward. 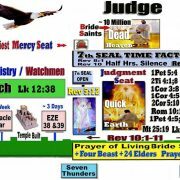 1Pet 4:17 17 For the time is come that judgment must begin at the house of God: and if it first begin at us, what shall the end be of them that obey not the gospel of God?